With mobile phone use a must have in today’s world, SMS marketing is very important for any business that is looking to grow quickly in today’s competitive environment. The easiest way for any business to connect and engage with their customers is through SMS keywords. Customers can be directly added to a business contact list if they text the SMS keyword to the marketing firm. How do SMS keywords work? 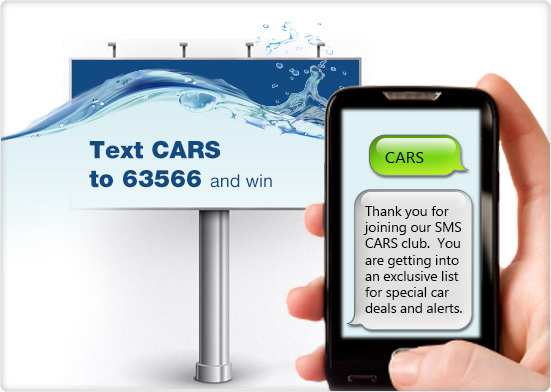 Suppose a marketing campaign is “Text CARS to 82257”. Here, CARS is the SMS keyword. When a customer texts CARS to the number 82257 he/she is automatically subscribed to the SMS list of a particular business. Now, the business can target this particular customer with SMS marketing campaigns. These messages will be sent to all customers subscribed to it, allowing easy access to interested people. For a single SMS keyword such as CARS there can only be one particular business associated with it in a particular region. The number 82257 is known as a short code and belongs to the firm that provides the keyword service to the business. A single firm might be providing services to different businesses, so sending different SMS keywords to the same short code may subscribe you to updates from different businesses. How to choose perfect SMS keywords? Businesses should take care while choosing keywords that will be unique from their competitors and easy to remember for customers to get maximum mileage. Also, choosing multiple words instead of a single word or having special characters in the word increases the chance of a customer making a mistake. For example, if the SMS keyword was FASTCARS all together and a customer sent FAST CARS to the shortcode, the customer will not be added to the subscriber list. If this is unavoidable, the business should purchase both keywords to avoid losses. It is usually a good idea to also account for errors that might occur due to the auto-correct feature on smart phones to avoid losing customers unnecessarily. This is especially important when your keyword not a term from formal English. 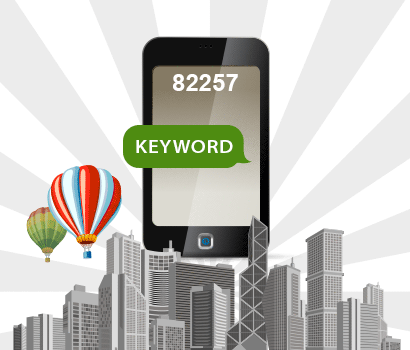 How can SMS keywords help your business? Using SMS keywords to target your customer base will have an impact on your campaign allowing you to run surveys, polls, promotions for sales, notifications, alerts etc. directly to your customers. Many providers allow you to target individual customers based on their preferences. For example, if a customer has voted for a particular brand of car in a previous survey you can send them targeted information in the future about that particular brand of cars only. This will allow your SMS to have a more meaningful impact and cannot be done by normal SMS marketing. A well run targeted SMS campaign using SMS keywords can increase your sales many folds. SMS allow you to reach your customers at any time of the day and using a catchy keyword over a period of time will help you build brand recognition and will add value to your firm. It is a must have for any business in the current digital era where a major chunk of your potential customer base is hooked onto his/her smart phone.